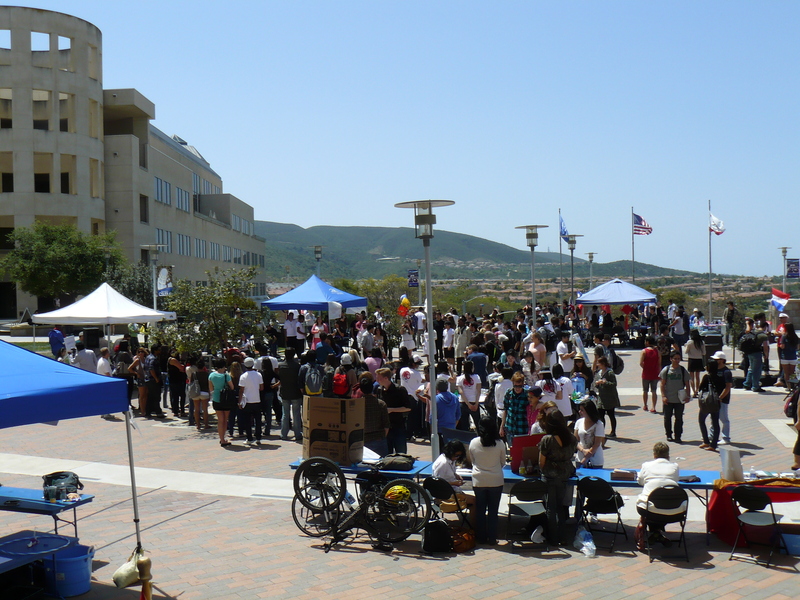 Thank you very much, CSUSM students and staff (and other community members!) 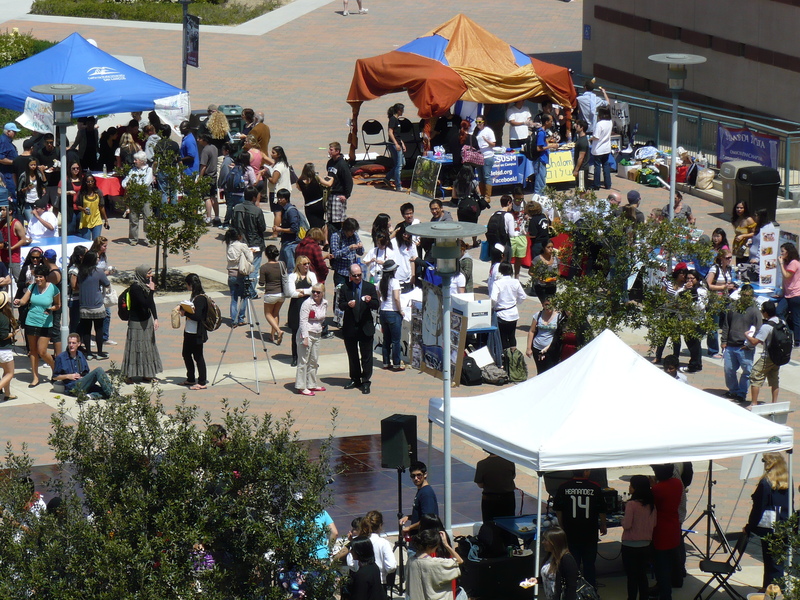 It was a wonderful day (maybe too hot…); we were glad to be a part to celebrate our cultural diversity on campus (and share some nice international food). 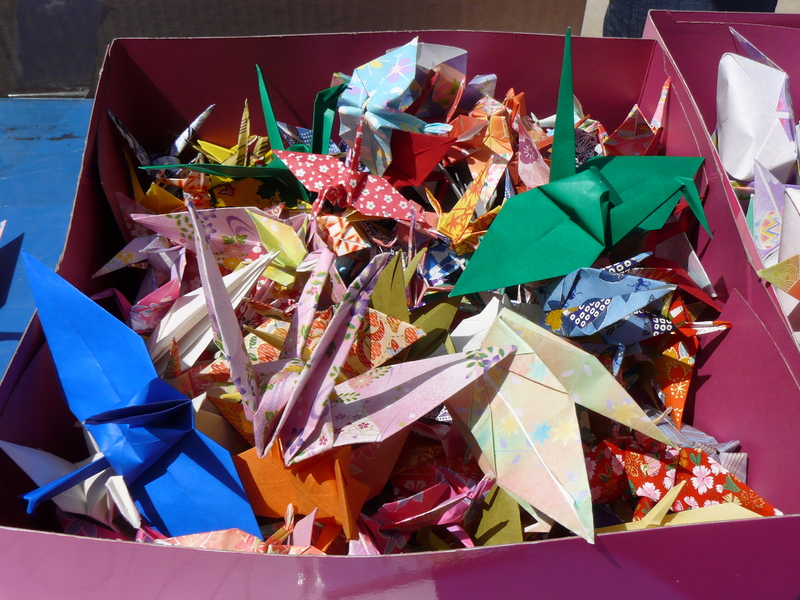 It was another successful day to raise Japan earthquake and tsunami fund! 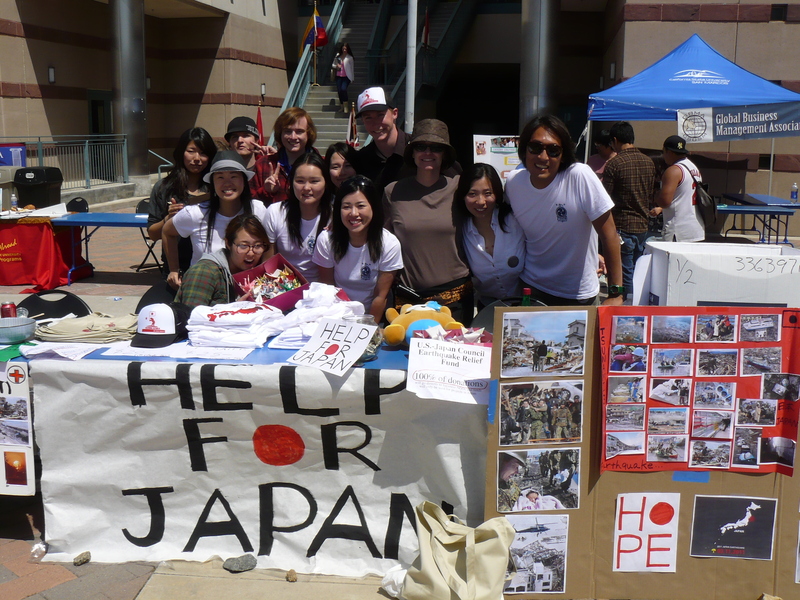 Special thanks to Mai Yamaguchi and the following CSUSM international student volunteers for their contribution. Kazuaki Kageshima, Erika Nakatake, Nanae Fukugori, Ayako Otsuka, Natsuki Ando, Cory Shcket, Kokoro Hyodo, Marie Hitomi, Ai Kobayashi, Jumpei Okada, Eri Kamakami, Rei Fukuda and others. 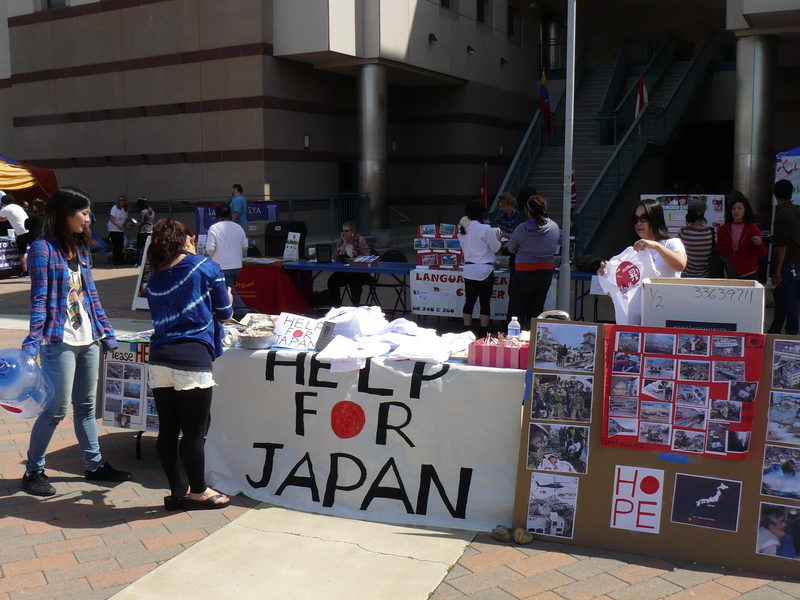 Special thanks to Danielle McMartin and Junko Miyoshi, our long time friends, for letting us plan the fundraiser table (and your continuing support for all international students). 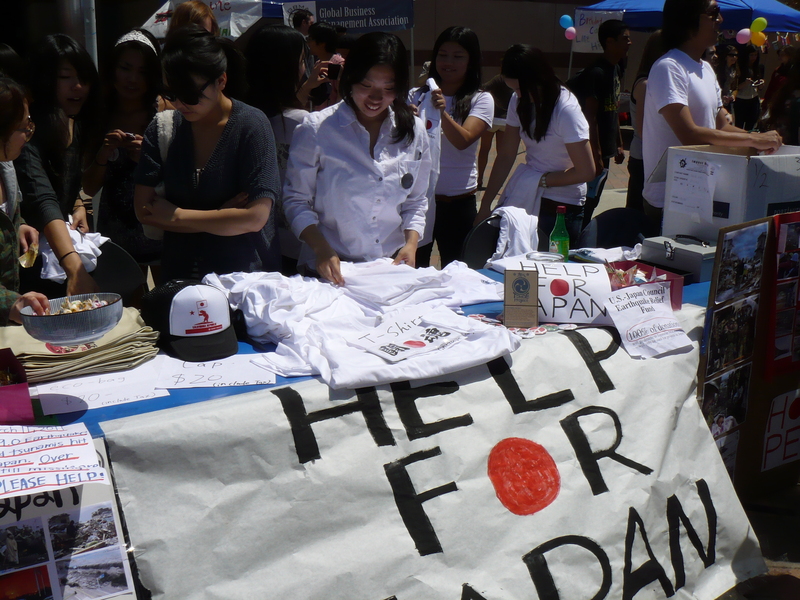 ← Mira Costa College support!